I just realized that it's been a while since we made a post here. Just in case anyone was worrying, Bad Agent Sydney (or rather Sydney, the real cat who plays her on the internet) is well past her crisis and doing very well. She's on steroids for her breathing problems, and they seem to help quite a bit, but if anything, she is more cranky and willful than ever. And of course, she isn't good about taking her pills. 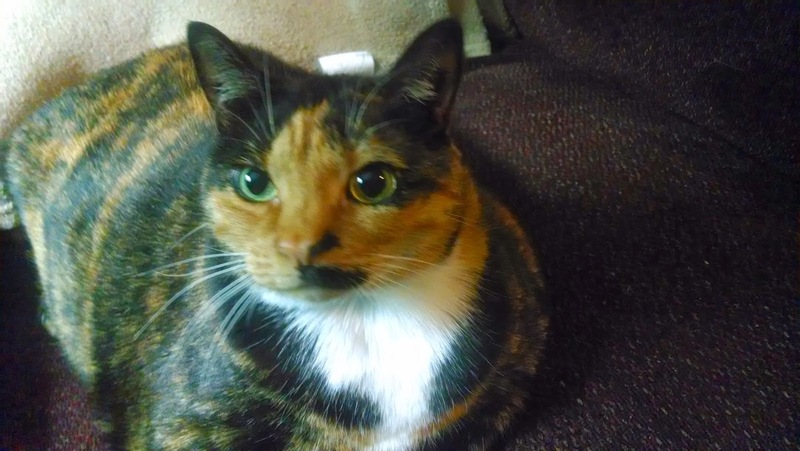 She refuses Greenies pill pockets for some reason (despite loving regular Greenies like kitty-crack) and has learned to glup down a whole spoonful of tuna instantly while leaving the pill buried inside behind. Pretty much the only way to get it in her is to shove it down her throat with your finger and then rub her throat till she swallows it. As you can imagine, this goes poorly for all involved. But she is feeling better. Last night in the living room she jumped into my lap, then stepped over onto my side table (where the Greenies jar and her hair brush are kept, along with less important stuff belonging to me, like my pad, phone, reading material, etc.) and proceeded to quite deliberately push things off onto the floor, then tried to break into the treat jar. When I took it away and gave her a couple treats before relocating it out of her reach, she went back to pushing things off, and then started pawing at her brush. Then I brushed her, which she enjoyed greatly, right up until the point at which she turned around and chomped my hand. I chased her back onto the floor, at which point she sat on the floor and burned holes in me with her eyes for the next twenty minutes. 1. Stoopid humans give her special foods but she disdains them. Wants cheap supermarket fishy treats, like you. Sydney is kitteh of the peoples. 2, Though sickness requires more naps, Sydney is working as hard as ever for all her clients. 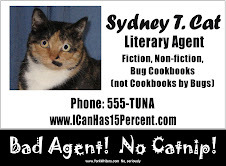 Sydney: Bad Agent Sydney wants to hear from YOU! Please leave your queries, questions, or comments! Perhaps Sydney's response will inspire a future post! While Bad Agent Sydney is not taking on new clients at this time, she is well aware that ALL WRITERS NEED CAT SUPERVISION! Little known fact that this instinctive talent that ALL cats have! Writers (and everyone want to be writer! ), do to local shelter and ADOPT HOMELESS KITTY TODAY! Use this LINK to find shelter near you! GO! 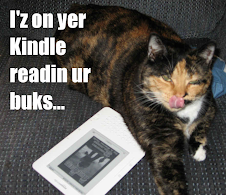 AGENT SYDNEY SAYS! If you found this post useful or fun, please be aware that Sydney has NEEDS! Toys. Catnip. TUNA! Support Sydney (and her people) by digging deep and sending a "thank-you" donantion her way. PURRRRRRRRRRRRRRRRRRRRRRRRRRR! (You cannot resist my hypnotic "pay up!" purr! PURRRRRRRRRRRRRRRRRRRRRRRRRRRRRRRR! People ask the Sydney, "why do you not post more of your Bad Agent wisdoms on your blog?" Well, first of all, Sydney is lazy. Basically, from the end of last summer till now was all one, big, nap! Second of all, Sydney mostly reports here on her Bad Agent schemes, but Sydney is too lazy to come up with new ones. Sydney just copies ideas from other two-legged agents that she hears about! The thing is, other agents just don't come up with that many new ideas. Apparently all the old ideas for scams, schemes, screw-ups and rip-offs that Sydney has already written about work just fine! Writers is just as gullible as evers! It is good to be an agent! That does not mean that agents does not come up with new schemes now and then. Sydney will try and pick up on some of them and report them, because just as much as Sydney is lazy, she is now also bored! In the mean times, notice that Sydney is back to posting most weekdays on the Twitters! Be sure to follow her at @badagentsydney for your daily (sometimes, mostly) does of Sydney!